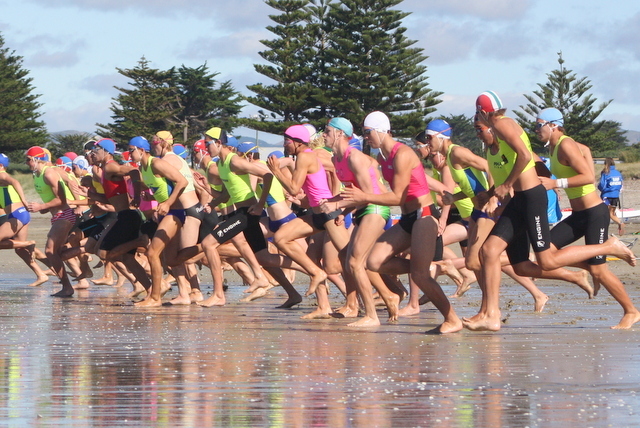 Red Beach‘s surf athletes - Seniors and Masters alike - now have their sights set squarely on the summer’s premier event, the TSB NZ Surf Life Saving Championships at Mt Maunganui. The event, expected to attract around 1,500 competitors from around the country, will take place from 21-24 March. The Nationals were last held at The Mount in 2013. A full day of Masters competition on Thursday 21 March will be the curtain raiser for Senior competition from 22-24 March. Over 100 national titles will be decided in the Open, U19 and U16 age divisions. Red Beach will again be well represented with athletes. The club has 26 Masters registered to compete on the opening day and a total of 85 Senior athletes set to compete over the next three days. The recent Northern Region Championships at Omaha, where Red Beach snared the overall points trophy, could provide pointers as to how the club will fare on the sand and in the surf at Mt Maunganui. Whilst the majority of the events will be held over four arenas at the Mount’s Main Beach, including Shark Alley, the canoe & boat arenas will be sited further down Marine Parade.